I was delighted to see these wee fellows in print at last, you know they had to jet their way to Sydney and back!! I've used flannelette and cream fleece to make them, keeping them soft and cuddly, I always try to keep my patterns simple while still retaining the detail that I love. They even have their own hotties, and look I've added a little buttoned flap to the back of his pyjamas..fun ah!! 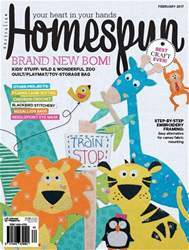 Just to let you know you can buy a digital copy of this magazine from Zinio, but there is nothing like holding the real thing in your hands. 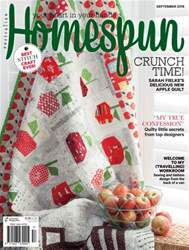 I love this Homespun Magazine it's filled with amazing projects, such talented global craftswomen. Well happy sewing everyone and don't forget all my other patterns are available here. Thank's Ali such a fun project..I do hope you make one and thanks for reading.